The Department of Basic Education (DBE) presented the amendments to the draft Basic Education Laws Amendment (BELA) Bill to the Committee, highlighting that the most controversial amendments referred to the power granted to the Heads of Departments (HODs). It said that some of the changes were intended to bring about economies of scale, as they would allow for the process of providing students’ support material to be efficient and cost effective. A major amendment was to empower the HODs to dissolve a governing body in cases where the governing body ceased to perform its functions efficiently. The DBE clarified that the rationale behind this amendment was to create legal certainty. Clause 23 further empowered HODs to authorise officers to conduct an investigation into the financial affairs of a public school, or to request the Auditor-General to undertake an audit of the records and financial statement of a public school. HODs could also appoint forensic auditors to conduct an investigation into the financial affairs of a public school. Further amendments were geared towards promoting good governance and preventing corruption, such as a clause which provided for the recusal of a member of a school governing body and required members to declare their interest in the procurement of goods and services of a school. Another clause also provided that only a parent member of a governing body who was not employed at the school may serve as the chairperson of the finance committee of the school. This again was to promote good governance. The draft Bill amended the composition of the decision-making process in school governing body meetings. Clause 21 provided for substantial deviations from the budget of a school, but the parents must be consulted and it had to be approved by a quorum of 15% of the parents. This was an amendment from the current section, which allowed for the approval of the budget by one member during school governing body meetings. Clauses 30 to 39 focused on the provisions of the new education dispensation. The draft Bill contained amendments to the Employment of Education Act (EEA), that dealt with the deletion of obsolete provisions, such adult-based education centres. The Committee Members raised concerns over the amount of power that was being granted to HODs. They highlighted that there had been cases where HODs were overriding their powers, and the Bill consolidated this. They also stressed that the amendments could potentially take away the rights of parents and significantly reduce the role of governing bodies. Concern was expressed as to whether the “avalanche” of public inputs were being taken into consideration by the Department. They pointed to the lack of human resource capacity in the DBE, and asked if it was willing to provide the capacity to implement this Bill. The Chairperson said the Committee was eager to hear from the Department, because the Bill had drawn a significant amount of attention. Provides for the insertion of a number of definitions and sought to amend certain definitions. Amends Section 36(6) of the South African Schools Act (SASA) to increase the penalty provision from six months to six years in the case where a parent or a learner prevents a learner who is subject to compulsory school attendance from attending school. The Bill seeks to amend section 6 of the SASA to provide for the governing body to submit the language policy of a public school, and any amendment thereof, to the Head of Department for approval. Seeks to amend section 6A of the SASA, to empower the Minister to appoint outside agencies or persons to advise the Minister on matters relating to a national curriculum statement, and a national process and procedures for the assessment of learner achievement. Seeks to amend section 8 of the SASA by providing that the code of conduct of a public school must take into account the diverse cultural beliefs and religious observances of the learners at the school and makes provision for an exemption clause, making it possible to exempt learners, upon application, from complying with the code of conduct or certain provisions thereof, on just cause shown. This was the most controversial clause. It allows for the valuable use under fair conditions of the facilities of a public school for school-related activities. The school can not charge a fee for the use of such facilities. Currently the Bill provides that facilities may be used under fair conditions, which was the only amendment to the clause. Sought to amend Section 21 of the SASA by granting the HoD the power to centrally procure identified learners’ support material after the Head of Department (HoD) has consulted with the governing body. The amendment is proposed to bring about economies of scale. The implications for schools means that learners’ support materials will be purchased more efficiently and the process will be cost efficient. This was a technical amendment that amends Section 22. It empowers the HoD to withdraw “one or more functions” of a governing body and not only “a function,” as the section currently reads. Sought to amend Section 25 of the SASA to empower the HoD to dissolve a governing body that has ceased to perform functions allocated to them in terms of the Act. The amendment is proposed to eliminate legal uncertainty. Provides the implications of the provisions of Section 26 of the SASA, which deals with the recusal of the member of a school governing body and provides that the governing member body has to declare personal interests that the member has in the procurement of goods and services of a school. It provides for a sanction should the governing member not comply. The purpose is to promote good governance and prevent corruption. Clarified Section 27, which provides that governing body members are not entitled to be remunerated for the performance of their duties. The only amendment is the addition that a governing member may not be remunerated for the “attendance of meetings for any school activity”. Amends Section 29 of SASA by providing that only a parent member of a governing body who is not employed at the school may serve as the chairperson of the finance committee of the school. This again was to promote good governance. A technical amendment -- the change of the word “minor” to “learner”. This is to bring SASA in line with the Children’s Act of 2005. In terms of the Act, the age of majority has been reduced from 21 to 18 years. Amends Section 33 of the SASA, which deals with the closure of public schools. It provides for less stringent procedures by providing for a member of the Executive Council to close a public school at the member’s discretion. This applies to cases where there are no learners registered at that public school, or less than 135 learners registered at the school. Amends Section 36 of SASA. The word “lease” was added. In terms of this provision, the school governing body must apply to the HoD to obtain a loan. The purpose of the amendment is to provide for checks and balances in spending for public schools. The definition of loan was also amended to provide or exclude the day to day expenses of schools. A technical amendment -- “direction” replaces with the word “directives”. Amends section 38 of SASA by providing for substantial deviations from the budget of a school. The parents must be consulted and it must be approved by a quorum of 15% of the parents. Currently, the section allows for the approval of the budget by one member during school governing body meetings. Sought to amend section 41 of SASA. It clarifies what documentation the school governing body should consider when a parent applies for exemption. It also provides for the submission of additional documentary evidence in the form of an affidavit by a parent for instances where information can not be obtained from the other parent of the learner. Amends section 43 of SASA. It empowers the HoD firstly, to authorise officers to conduct an investigation into the financial affairs of a public school; secondly, to request the Auditor-General (AG) to undertake an audit of the records and financial statement of a public school; and thirdly, to appoint forensic auditors to conduct a forensic investigation into the financial affairs of a public school. The purpose is to promote good governance and prevent fraud and corruption. Contains provisions that an independent school must submit quarterly reports to the HoD on all income and expenditure relating to the subsidy received from the Department. This is to protect the financial interests of the state. An amendment to Section 51 of SASA. The amendment clarifies procedures for home education. Inserts a new provision in the SASA to provide for dispute resolution mechanisms in the event of any dispute between the HoD and a governing body. It provides that the parties must meaningfully engage each other to resolve a dispute. If it can not be resolved, each party must nominate a representative who must meet with a view to resolving the dispute. The procedure must be followed before a governing body can take a public school to court. Amends section 60 of the SASA. This section deals with the liability of the state for any contractual damages caused as a result of any school activity conducted in a public school for which the school would have been liable. Extends the powers of the Minister to make regulations on various matters to improve the education system. The Bill contains amendments to the Employment of Education Act (EEA), which deals with the deletion of obsolete provisions such adult-based education centres. The amendment is to align the Act with the new education dispensation. The clause deletes “adult-based education” and “further higher education,” which are now functions of the higher education sector. Clauses 30-39 deal with the provisions of this new education dispensation. Inserts a new provision in the EEA, prohibiting educators from conducting business with the State or from being a director of a public or private company conducting business with the State, and creates an offence should the educator contravene the above-mentioned provision. Such contravention will constitute serious misconduct which might result in termination of the educator’s employment contract. Inserts a new provision into the EEA by requiring educators to disclose to the HoD their financial interest, as well as the financial interest of their spouses. Failure to do so constitutes misconduct. This is to bring the EEA in line with the Public Administrations Act. Contains the short title and provides that the Act comes into operation on a date fixed by the President by the proclamation in Government Gazette. The Department had consulted all provincial education departments, as well as heads of education departments and the Council of Education Ministers. All of these structures had approved the Bill for public comment. It was further approved by Cabinet for public comment. The Department had also briefed numerous organisations, such as school governing bodies and unions. Some of the organisations had provided the Department with written comments and expressed concerns with some of the proposed amendments. The socio-economic assessment impact was conducted by the Department of Planning, Monitoring and Evaluation (DPME). The Bill was further approved by the office of the Chief State Law Advisers, and was in line with the objectives of the National Development Plans’ action programme of 2019. It was recommended that it should be discussed by the Committee for further guidance and advice. The Chairperson said that Members should engage on the Bill, bearing in mind that it was not yet their process. It would prepare the public and researchers to understand what the Department was coming up with. Mr I Ollis (DA) said that the introduction of a new Bill without the presence of the Minister was concerning. Such an important Bill could not be considered without her presence. The unprecedented input that the Department had received on the Bill was indeed an avalanche. The reason for the avalanche was because the Bill was interfering with the democratic rights of parents. He expressed his concern that the Department had mentioned processing the input received, but there had not been consideration of amending the draft Bill. Mr Mweli had instead mentioned that public hearings had needed to be held to educate the public. The underlying assumption with that statement was that the public was uninformed, and that the Department sought to educate the public to persuade them to agree with the Bill. This was hugely offensive, as it implied that the public was stupid. Normal processes of drafting amendments required public feedback, and used the input to amend the Bill. The public had a right to be heard, and some things in the Bill had to be amended. Mr Ollis provided an example of a court case that had occurred in the Northern Cape. A Mr Coetzee had committed a sexual crime against a learner in a particular school, and was then dismissed. The HoD of the Northern Cape had overruled the governing body’s process to choose the school’s headmaster and hadinstead appointed Mr Coetzee as the headmaster at the very school where the misconduct had occurred. The major problem with the Bill was its attempt to take away the rights of the school governing body and give them to the HoD. The Northern Cape case showed that this leads to HoDs overriding their power. He asked the Department if the public’s opinions would be taken seriously and whether it was willing to make amendments. The Chairperson emphasised that prior to the Bill being adopted, the current process of obtaining the Committee’s feedback had been to safeguard Mr Ollis’s questions and concerns. Ms D van der Walt (DA) asked to what extent the avalanche of inputs had been taken into account. What impact had the inputs had on what the Department presented, or were the inputs yet to be implemented? The Department needed to be careful, because the Bill could a cause a constitutional challenge which would be a problem because the Department did not have the funds or time to deal with it. The Bill could seriously undermine the rights of parents. There should be a look at intervention only in cases of incapacity to deal with specific problems, rather than painting the whole country with the same brush. The Bill needed to assure parents that they had oversight powers. Mr H Khosa (ANC) said the consultation process had challenges and had raised fears regarding the input from the public. He appealed that the different views should be taken seriously and addressed in the correct manner. How far was the Department in consulting stakeholders such as the school governing bodies to ensure that the intention was not to take over the governing bodies’ powers? Ms N Tarabella-Marchesi (DA) expressed her concern about the people who were being given the opportunity to comment. She asked whether people in rural areas had been given the chance to provide comments. The Bill had been issued in only English and Afrikaans, which excluded a large majority of the population who would be affected by this Bill. The idea of taking away powers was based on the fact that there was corruption and jobs sold in the provinces. The DBE was the only department that had conducted a thorough investigation into nepotism. She did not think that the results of the investigation warranted the type of steps that this Bill wanted to take. She asked that the decision requiring the Department to appoint and offer employment positions should be reconsidered. The Chairperson welcomed the Deputy Minister, Mr Enver Surty, to the meeting and briefed him on the Bill. Ms N Mokoto (ANC) commended the Bill for capturing most of the issues that had previously been raised in the Committee, and for being responsive to the current issues within the education sector. She supported the amendment to increase the penalty from three months to six years. She appreciated that the Department has listened to the Committee regarding school governing bodies that were not performing efficiently. She asked whether the Department would be able to afford some of the changes that were listed to be implemented through the amendment of the Bill. Mr D Mguni (ANC) said that there were issues in the Bill that required urgent scrutiny. The amendments should not cater to suiting the bureaucracy at the expense of the majority of the public’s interests. A good approach was the bottom-up approach. The SASA had been enacted to ensure parents had a voice in school governance. Was it thus correct to take away parents’ rights? Was the Bill sure that granting the HoD powers would not worsen the issue of jobs being sold? He noted with concern that some people used these schools as quick “buck-making schemes,” and some schools had even increased their fees by more than eight percent. School governing members were expected to serve the school, and if they received remuneration, what message did this send to parents? Lastly, schools should be audited, although the problem was the DBE’s limited capacity that it made available to the public schools. Was the Department prepared to provide human resources? The other problem was the implementation -- the DBE formulated excellent policies but the challenge was the lack of capacity to translate rhetoric into implementation. Ms J Basson (ANC) highlighted that the Bill had already provoked media and community attention. Why was this the case, if the Bill was not yet final? She expressed her concerne with clause six, asking to what extent learners were allowed to apply for their exemption on the basis of practicing their beliefs. If each and every child applied for exemptions, how would this be dealt with in diverse communities? She asked where the concept of declaration came in in Clause 13 -- who was considered as the family? The Chairperson clarified that the process of the drafting of the Bill was already at the public consultation phase. The Bill and amendments had drawn attention that was alarming. She agreed that there were clauses that were quite controversial, especially the amendments that dealt with the school governing bodies. She emphasised that the Bill was not at its final stage, and asked the Director General which side the public’s input had been drawn towards. 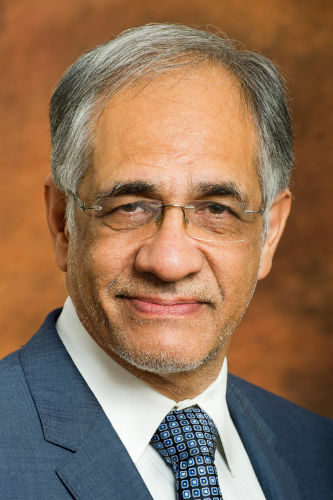 Deputy Minister Surty explained that the Cabinet had approved the publishing of the draft Bill in the government gazette for public comments, and even beyond the expiry date, inputs had been pouring in. He reassured the Committee that the public comments would be processed and that their concerns would be taken into account. He stressed that this process was important because the input might have useful comments that might guide the Department before the Bill was presented to Parliament. Once the Bill was presented to Parliament, then the process of consultation would begin again. The process was still in its very early stages. There was sufficient time for further deliberation. The second point was to recognise that change was always difficult. The Constitutional Court had created a platform for cultural and religious rights, and the rationale for cultural provisions in the clause was to cater for this religious and cultural diversity. In the context of the country’s democracy, one religion could not supersede another religious belief. The diversity must become a reality in the classrooms. The Bill must be viewed in the context of social justice and the democratic ethos of the Constitution. The Department had no intention of excluding anyone. The amendments were an affirmation and confirmation of local authority. The role of the school governing bodies and the role of trade unions should not be ignored. Mr Surty reassured the Committee that the governing bodies would not be excluded from the process of the drafting of this Bill. However, the Department did not believe that they should have the final authority in making appointments. This had led, and could lead, to cases where matters were taken to court because people were excluded on the basis of religion or culture. The Department emphasised that in the appointment of instructional leaders, it was critical that these leaders had the necessary skills. There were legal, historical and moral considerations for the amendments. The process had involved all heads of departments in all provinces. The Western Cape had been part of the legal team that had crafted this Bill. Mr Ollis interjected, and said that this was incorrect. Deputy Minister Surty said that Mr Ollis was inconsiderate by blurting out his disagreement while the Deputy Minister was still speaking. One of the recommendations that had been put to the Department was that the appointment of instructional leaders should not be in the hands of governing bodies. He emphasised that he neither agreed nor disagreed with this recommendation, but this was to merely explain the rationale that had led it. The intention was not to exclude the governing body, but to clarify the system of local authority. He said that the Bill was not an attack on former Model C schools, but was a process of evolution that responded to the challenges that the Department faced. The principle behind the Bill should be understood. Rather than engaging with the details of the Bill, he called for an understanding of the spirit of the Bill and for the Committee to be open to persuasion. The Bill was a continuous consultative process that should end off representing the interests of the poorest of the poor. The Chairperson said the Deputy Minister had responded to the fundamental question of the process of the Bill. Mr Ollis clarified that he respected the Deputy Minister, and that his interjection was not a personal attack. Ms Tarabella-Marchesi reiterated her question, and asked whether the Bill had been translated into other languages. Were people in rural areas aware of the amendments? As much as the Department had said there was public participation, the public had been given less than a month to comment on this Bill. The Chairperson said that the issue raised by Ms Tarabella-Marchesi was important. The issue was that the public sometimes were not aware of their rights, and what she was raising was whether the Committee in their public constituencies contributed to educating people. Deputy Minister Surty said that the costs associated with just publishing the Bill in the government gazette were huge. The issue that Ms Tarabella-Marchesi had raised was important -- the Bill should be published in at least two languages, one of which should be an indigenous African language. The second point was to recognise the value of public representatives engaging with the public. The Department should make the content of the Bill available to public representatives in as many languages as possible, to enable them to engage with their constituencies. Lastly, the role of the NCOP was very important in representing provincial interests. He could not assure the Committee that the Bill would be available in all languages, but the Department would attempt to provide it in the dominant languages. The Chairperson said that the closing date for public comments had been 10 November, but the Department was still taking in comments. Was this correct? Deputy Minister Surty recommended an extension to 10 January 2018. This would allow the Department to process and consolidate the input. Mr Ollis said that the Western Cape had written to the Minsiter asking for an extension, and the Minister had declined. Did the public know that about this extension? The Chairperson asked Mr Mweli how the public would be informed about the extension date. Mr Mweli said on 10 October, the Minister had issued a statement, stating that comments would continue to be received, with an open end. Public hearings in their genesis were about sharing information and lending a listening ear to the public. They created an opportunity for the Department and the public to express their perspectives. The Chairperson concluded that the Department should issue a notice for the extension of public hearings. For now, the provisional current extension stood at 10 January 2018. The Chairperson said that the second quarterly report was very important and that the Committee had only an hour to deliberate on it. She proposed that the Committee attend to the report in the new year. Ms Tarabella-Marchersi agreed with the Chairperson, saying that the Committee would not do the report any justice if they attempted to discuss it in an hour. She suggested that it be postponed to 2018. Ms Mokoto seconded Ms Marchesi’s proposal. The Chairperson apologised to the Department. The Director General asked the Committee to subsidise the managers’ expenses for the next meeting. Ms Tarabella-Marchesi said that in future there should be specific time allocated to discussing the BELA Bill, because of the amount of attention drawn to it. Mr Ollis agreed with Mr Mweli that the Committee should ensure that its schedule accommodate the most controversial issues.